Wolf Den to Meet Again! 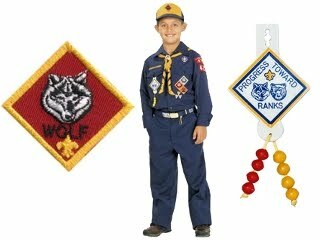 Continuing on our way to completing the Wolf rank, the Wolf Den will meet on Saturday, March 29th at 3:00 p.m. at the Den Leader's house. and begin Achievement 11 - Duty to God. The pack meets on November 5th, and then our next den meeting is November 12th. We'll learn more about respectful use of the American flag. Do you know what our Virginia state flag looks like? We'll learn about that, too! More sports are on the agenda, as well. Might be a good idea to bring a water bottle! 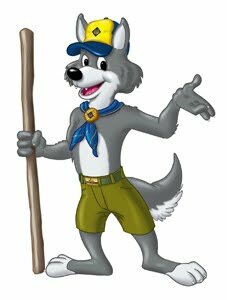 The first meeting for our Wolf Den will be at 5:30 pm on Tuesday, September 10th at the Church. 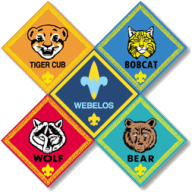 This will be the first meeting for our new Wolf Cubs. The meeting will be somewhat 'organizational' in nature as we get ready for the year ahead. Den meetings will be starting soon, so watch for announcements!